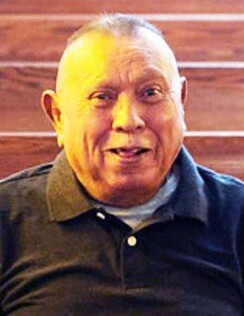 James C. Corona (Jim), age 71, passed away peacefully in his home on Feb. 2, 2019 in West Jordan, UT. Jim was the first child born to James and Mary Ellen Corona on August 27, 1947 in Dinkyville (Copperton), UT. After attending Jordan High School, graduating in 1965, Jim enlisted in the Army from 1965 to 1969. He served two of those years in Vietnam. When he returned, he worked as a welder for Kennecott Utah Copper. After Kennecott, he worked and eventually retired from Tooele Army Depot. Some of Jim’s favorite hobbies were hunting at Barney’s Canyon, fishing at Currant Creek and Vernon and he loved to dance and party at the clubs! Although Jim never married, he did have 2 dogs that he loved dearly, Millie I and Millie II! He also loved his nieces and nephews. He was generous and very loved. He will be missed! He was preceded in death by his grandfather Casimiro Corona, father James Corona, brother David A. Corona, nephew D.J. Corona, and his dog Millie I. He is survived by his mother Mary Ellen Corona, brothers: Steve Corona, Larry Corona (Debbie) and Gary Corona (Kerry), sisters: Susan Archuleta (Dennis), Sonia Roy (Gary), Shelly Shepherd (Bruce) and Sheri Martellaro (Scott). Viewing will be held Friday, February 8, 2019 from 11:00 am to 12:00 pm at Goff Mortuary, 8090 S. State St., Midvale, UT. Immediately after the viewing, the interment will be at the West Jordan Cemetery located at 7925 S. 1300 W., West Jordan, UT.